RAJBIRAJ, Nov 11: Genuine people are deprived of citizenship in Nepal while foreign nationals have been reportedly obtaining the document in collusion with the government officials by paying handsome price. 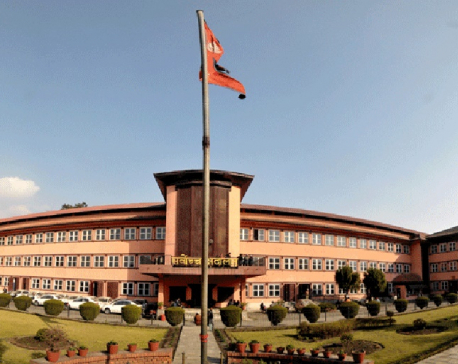 It is practically impossible for a child to obtain a Nepali citizenship certificate from mother's lineage although there is such provision in the constitution. Citing the open border among other vulnerabilities, the authorities have made it almost impossible for children to obtain citizenship from mother. There are conditions put for those who seek citizenship through mother and meeting those conditions is quite a daunting task. On the other hand, a growing number of foreigners hold Nepali citizenship and are carrying out their businesses in the country, police sources say. 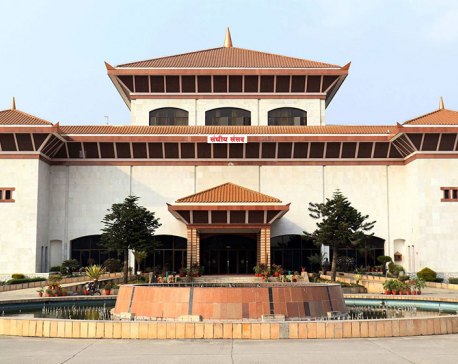 According to the police, criminals, mafia, dealers from India, Pakistan, Bangladesh, among other nations have acquired Nepali citizenship without any hassles. On September 20, Indian shooters stormed in Bhutaha market of Sunsari and shot a Nepali national dead. The government soon declared the deceased Khursad Ansari a martyr and granted relief amount to his family. However, now his link with international terrorists has become the talk of the town. According to Indian security agencies, Pankistani terrorists were reportedly obtaining Nepali citizenship and passport with the help of Ansari. The Indian agencies were looking for Ansari since a long time. A source at the District Administration Office, Sunsari informed Republica that terrorists of Pakistani origin including Dr Shahanawaj Wada Sahik, Abu Rasid, Shalman Sekh, Mahhomad Khalid, Abdul Shubhan Kuraisi and Aarij Khan who are associated with the international terrorist organization called Indian Mujahidin had been able to acquire Nepali citizenship from the office in 2008. At that time, reports were out that those terrorists had received the citizenship with the help of Ansari. Two years ago, an Indian citizen Rais Miya Mahomad Mustakim was caught with a Nepali citizenship at TIA. He had three sets of Nepali passports. He was a suspect of several murder cases. In the passports, his addresses were villages in Saptari, Sunsari and Siraha. According to the police, there are many such cases which indicate that acquiring Nepali citizenship certificate is not a big deal for anyone who can 'pay' for it. Due to the open border, Nepalis and Indians are allowed to move freely to each others' country without passport and visa. This has become a good opportunity for criminals to hide in each other's country and operate their businesses. Police sources state that Pakistani and Bangladeshi criminals are taking advantage of the open border too. They have links with a network which avails them Nepali citizenship and passports. In the recent years, Sunsari has become a safe haven for such criminals. According to the sources at the District Administration Office and the police, Saptari and other Madhes districts have become a hub for the criminals and terrorists to carry out their activities. The weak security mechanism of the country and lack of monitoring system have made it easy for them to operate their racket. Requesting anonymity, a police inspector said that sealing the open border would help in curbing criminal activities as well as the 'businesses' of citizenship. 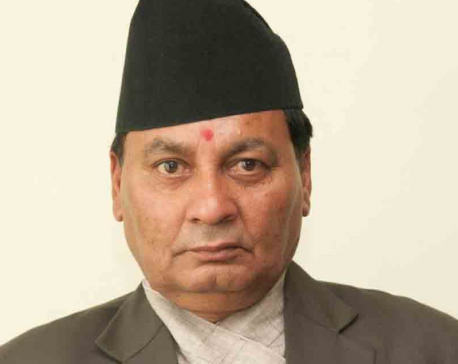 Saptari CDO Surendra Poudel admits lapses in the system. The inability to manage old citizenship certificates and replacing them with the new ones has left loopholes, he said. "The misuse of citizenship has also surfaced due to our inability to replace the old citizenship certificates. Now, we write 'Nepal government' in the citizenship but earlier it was 'Shree Pach ko Sarkar'," he said. "The issue of forged citizenship is very serious. We are aware of that," he added.